Window coverings are a great way to add privacy and style to any home. Whether you are installing them for the first time or updating existing ones, you want to make sure whatever you choose fits your style. It seems like a daunting task to find the right covering to choose when there are so many different blinds, shades, and shutters. When making this decision, you want to take into account materials, durability, and cost. With a few tips and information, you will be able to successfully pick the best option that will not only work for you and your family but also the furry animals living in your home. 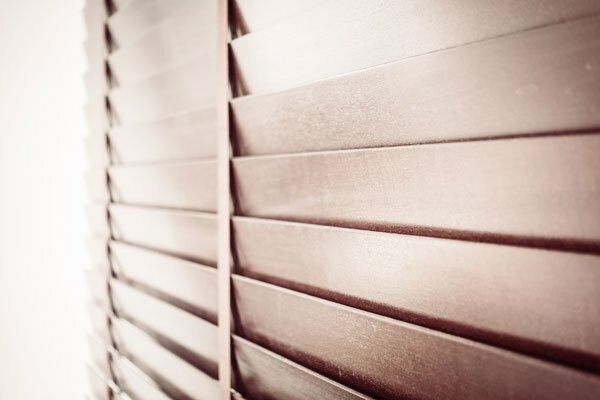 Wood shutters are probably the easiest window covering to clean due to the large and smooth slats. Dog and cat hair and dust can be easily wiped off with a damp rag. These are a great option if your pet likes to look out the window because of the large openings. They are opened and closed with a piece of wood attached to the shutters so there is no need to worry about cords getting tangled up. You do want to make sure your animal doesn’t stand on the slats as they can snap under pressure. That said, they are generally very sturdy and can withstand the weight of small to medium sized cats. Also, if this does happen you can easily order new slats and install them in the existing spot. If horizontal blinds aren’t your favorite, vertical blinds are a great option for coverage and durability. If you have a curious animal that frequently likes to look out the window, vertical blinds are easily moved side to side without the risk of breaking. These blinds do require chords, but they are on a pulley system typically attached to the windowsill. This means there are no dangling strings tempting your animal to jump up and grab them. These come in many different colors and patterns making it easy to match the décor of your home. Although they are made with a durable vinyl, they are not susceptible to damage. If one of these slats do break, you simply unhook it from the top and add a new one in its place. If you are looking for full seamless coverage, your best option would be roller shades. Roller shades consist of a moving mechanism with a piece of fabric attached. When the shade is completely raised, the material is hidden inside a tube making it completely invisible. This type of shade does not have any cords for your animal to play with reducing any temptation for damage. They lay flush against the window allowing very little sunlight to leak through. If fit properly, this option of coverage should eliminate any opening for your animal to look through. Roller shades provide a very sleek and modern look that is commonly used in industrial buildings such as stores and restaurants but is becoming more and more common in residential homes. Like roller shades, cellular shades are another option that provide full coverage with very little visibility if fit properly. Both options can be chosen in an array of colors, fabrics, and light filtering. The roller shade and cellular shade can be chosen in fabrics that barely block out light and are used mainly for privacy. Blackout shades are also great for completely darkening a room. The major difference between the two is insulation. Both options are fairly similar in cost, but the cellular shades are much better for keeping the heat and cold out of your home. The honeycomb pattern in the cellular shade traps the air between the window and room creating a much more even temperature and providing an R value of 3.5 whereas the roller shade simply covers the window and offers zero R value in terms of insulation. If climate is fairly consistent year-round then either option would work great. If you live in region where there’s a drastic change in climate then you are better off choosing the cellular blind to cut costs on utilities and have a much more comfortable home. 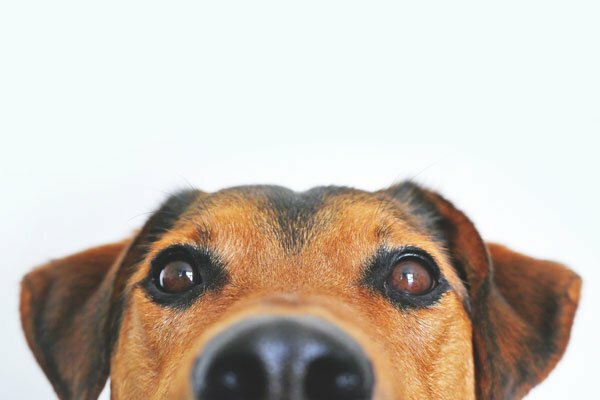 Although blinds and drapes provide great privacy from bystanders and the sun, there are certain ones you want to avoid if you have pets in your home. Low hanging drapes are the least favorite option when you have animals. We all know cats love to climb and that includes climbing up drapes. When cats do this, you risk having your drape rod being pulled out of the wall leaving behind damaged drywall or snags in your fabric. There simply is no way around this. If you must use them, make sure they don’t puddle on the ground as hair can collect on the bottom very easily and will make your house appear messy. Although aluminum blinds are typically a very cheap option, they can be dangerous to your pets. They bend very easy and can break which leaves sharp edges that your animal can get cut on. A popular blind option is corded blinds. It can be dangerous to have these if they are in a spot your animal is able to reach. It is unlikely but not unheard of for pets to get tangled up in the cords and choke. 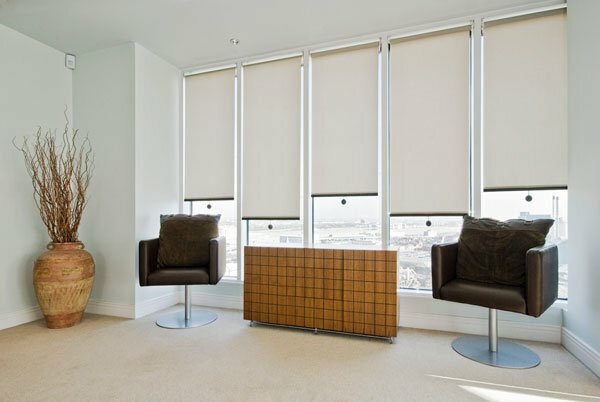 When selecting blinds, it’s always best to choose one that provides a larger slat. Small slat blinds provide very little space for your animal to look out of and could end up getting ruined due to the animal pawing at them to see. Large slat blinds are also easier to clean if you are dealing with a lot of dog and cat hair. No matter which style of blinds you choose, you will want to make sure you take the proper precautions to prolong the life of the window coverings. If you have animals that like to chew on items, you can apply a citrus or bitter apple spray that many cats and dogs find unpleasant. A more unsightly but effective option to keep pets away from your blinds is to add carpet, tin foil, or double-sided tape onto your windowsills. Most animals find these textures uncomfortable and will not want to stand on them. To avoid dust and debris to accumulate on the fabric or wood, make sure to vacuum with a soft brush attachment or dust often. For smudges, you can dampen a sponge in a mixture of mild soap and water and gently wipe your blinds clean. Never clean paper or parchment blinds with a cleaning solution. If you just can’t seem to get your animal away from the window, consider designating a window that doesn’t necessarily need a window treatment specifically for your pet to look out of.